The Priory of the Orange Tree has been one of my anticipated reads since I first heard about it so I was absolutely thrilled when Bloomsbury sent me a copy. Admittedly, though I’ve wanted to read it ever since I received it, I had been putting it off because of the size of it. Let’s be honest, it’s the size of 2/3 books so I wouldn’t say it’s a particularly quick read. I also planned fairly badly. The intention to read it before the end of 2018 was there, but wanting to reach my Goodreads goal before 2018 ended got the better off me and so I opted for shorter books instead. Really, I should have been starting this beast of a book as it took me a month to read it and I finished the last 30 pages the day it came out. I think that it can be a little daunting when you first face this book as it is 800 pages. I know I definitely felt a little intimidated by it and like I may struggle, but it was such a fantastic book that I’m glad I finally read it. I’m going to try and write this without spoiling anything as I want everyone to go into this book with no spoilers, so if this review is quite vague, now you know why! In Priory, we follow four characters PoVs as Virtudom is on the brink of war. These characters are Ead, Tané, Niclays and Loth as they all navigate through the South, East and West. The world building in this book was just fantastic. It was so rich and descriptive that I found it easy to imagine the settings. Of course, rich world building in an 800-page book is something you would expect but Samantha really delivered. I didn’t find it at all confusing like I was first expecting. It was incredibly easy to follow because the settings were all so different. You can really tell that Samantha did so much for this book, not just because of the size but because of the sheer amount of detail throughout Priory. Out of the four PoVs that we follow in this book, I think that my favourite was Ead but I also liked Tané. Both were prominent and were the primary focus out of the four characters we follow. I really liked Ead because of how there were so many layers to her and because she wasn’t afraid to do what was right. Tané was similar in that respect but she was also focused on herself and making sure she was the best dragon rider she could be. I liked Loth as a character but we didn’t go to his PoV as often as Ead and Tané’s. I felt that Niclays really went on a journey during this book, but I personally liked his chapters least out of the four as I just wasn’t as invested in his story as the others. Other than the 4 main characters that we follow, there are plenty of other characters throughout this book and all are fully fleshed out with backgrounds. Two of my favourite characters were Sabran and Meg. Although I did think Sabran could be a little cold at times, I did quite like her. Meg was such a good friend to Ead and I loved her attitude throughout the book. She was quite a badass as and when she needed to be. Relating to characters, there was LGBT representation of f/f and m/m relationships and exploration of sexuality in this book which was good to see. The dragons are quite a prominent feature in this book, or perhaps I should say wyrms. There are good dragons and bad wyrms which is different There were quite a few different creatures featured throughout, but my favourite was perhaps the ichneumon called Arlaq who is kind of like Ead’s pet. Although I found the pacing a little slow for the first 400-450 pages, as everything started to fall into place I found that it really picked up and the last 350-400 pages went by much faster than the first half. One thing that did slow the book down for me was the long chapters which is why I have given Priory 4.5 stars as I did feel like the long chapters did slow down the first half for me alongside the slower pacing. I have read all books in Samantha’s The Bone Season series so far and I know that those books also have long chapters. This isn’t necessarily a criticism of Samantha’s books or her writing but I find that for me, long chapters slow the pace down meaning it takes me longer to read which is exactly what happened with this book. Despite the fact it did have long chapters, I was still interested in the book and was left wanting to read more whenever I put it down. I found The Priory of the Orange Tree to be an enjoyable read that was incredibly well thought out. The character development was great, the world building was incredible and the plot was easy to follow. Despite the fact that the first half of the book was slower than the second half and the long chapters, I did find this to be a satisfying read and a really fantastic standalone book. I would absolutely recommend this book. I have been wanting to read Enchantée since I first heard of it and it was pretty much everything I had hoped for. It had magic, the glamour of court (or should I say, glamoire), a Parisian setting and a lovely romance. It also had a feature of Marie Antoinette, although she didn’t pop up very often. The plot of Enchantée is simple to follow. Camille, her sister Sophie and brother Alain are orphans who are trying to survive. Camille is the only one of her family that is able to work la magie and so, in order to make money, she goes to Versailles to help her family out. There, she comes across trouble. Camille is our main character who is very focussed on doing anything to ensure that neither herself or her sister, Sophie, fall into poverty and face a worse fate. Camille definitely grows in this book as she has to deal with her alcoholic and gambling brother Alain, but also the threat of being found out that she can work magic to her will at Versailles. Camille essentially lives a double life throughout this book, but as her confidence grows thanks to the ‘fake’ life she’s living, this affects her attitude throughout the book on both sides. During Enchantee, we see the introduction of other characters including Lazare who is working on a hot air balloon with Rosier and Armand. Lazare is a character who is trying to hide his roots but needs to use his connections at the same time to aid him in his work. He is a fairly significant character in this book. Armand is a character who felt a little unnecessary as he didn’t really take to Camille and there was no real reason why. Rosier was a very happy character who was a whirlwind of positivity on the page. Whilst Camille is living her double life at Versailles, she meets Chandon and Aurelie, two characters who turn out to be great friends to Camille. With the introduction of these two characters, I feel like this changed Camille’s attitude towards the elite class of society as at first, she sort of resents the upper classes but throughout the book, her outlook on the upper classes changes. This book was set in Paris and Versailles. I enjoyed seeing the contrast between the two, particularly as I felt that they helped to separate between Camille’s real life and her fantasy life. I think that this helped to show the contrast between how the rich and poor lived in France at this time. I also think that this lent to the fact that it felt like there were almost two stories that were running side by side. I enjoyed the magical element in this book and it was quite important to the plot and to Camille and her character development. As magic is essentially forbidden and Camille is forced to hide her abilities, this reminded me a little of the witch hunts that had taken place in Europe. I was expecting to see more of the planning of the French Revolution and more of Marie Antoinette, but I don’t think this particularly made me rate the book any differently but I do think that it may have added to the book. I just felt that I went into the book expecting something slightly different but nevertheless, I still enjoyed Enchantee. I thought the writing in this one was good. It was a good pace and I didn’t feel myself losing interest at all. I will admit that during the first 100-150 pages, I felt the pace was slow but it did pick up and flowed really nicely afterwards. The chapters were also a nice length – I personally find books with longer chapters slower to read but the chapters in this were a good length. I would absolutely recommend this book! If you’re looking for a book full of magic, mystery set in the city of Paris with the glamoire of Versaille, look no further than this! I thought that Enchantee was a wonderful addition to the historical YA genre and I look forward to seeing what Gita writes next. Strange the Dreamer was one of the best books I read in 2018 and is one the best books I’ve ever read just ever. I think that’s probably a good place to start with this review. When trying to write this post, I really didn’t know where to start and I am sure that this review will continue to feel a little like that. I always find it more difficult to talk about books that I loved in comparison to talking about books I didn’t like so much. If I come across as incoherent or repetitive at any point, I apologise but talking about a book you love is just difficult. What more can I tell you other than I loved this book so much and I encourage you to read it immediately? 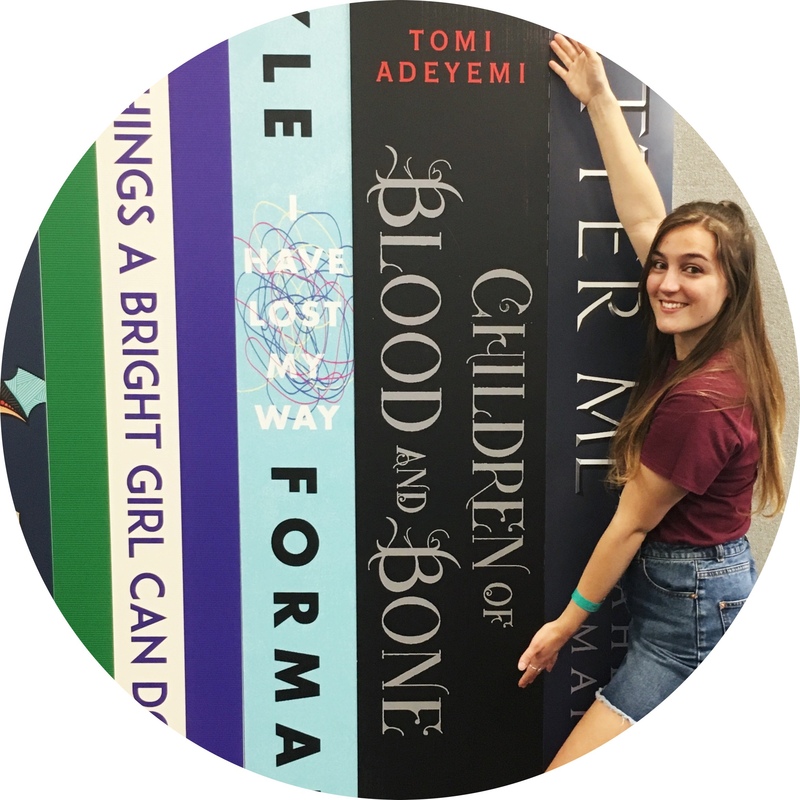 I have read the first two books from Laini’s Daughter of Blood and Bone series, and found that, for me, her books dropped off between the middle and end. Because of this, I have put off reading Strange the Dreamer. Not every book is different, I know, but I was really worried that the same thing would happen reading Strange. I was worried that I might fall in love with this book and then be disappointed when I got three quarters of the way through it. Thankfully, this wasn’t the case. The thing I reminded myself of before going into Strange the Dreamer is that the series is different and that authors do change and their writing styles continue to be worked on. The plot of this book was interesting and enchanting. This book had a perfect mix of a world of normality and a hint of magic. Strange the Dreamer follows the main character Lazlo Strange as he journeys to the city of Weep. The city is in the shadows of a city made up of once great yet terrifying group of Gods. The Gods were slain but yet the city still remains and so the majority of this book follows the task of destroying the flying city that has haunted the citizens of Weep ever since it arrived. Lazlo Strange was such an interesting character to follow. He was raised by monks but when we meet him, he is a junior librarian who dedicates his spare time to finding out as much as he can about Weep. Lazlo is a gentle and kind character who is unable to progress and become the Scholar he would like to be because of his background. Despite this, he didn’t let that stop him from going on a mission. On this journey, he discovers a lot about himself. The other characters were complex and interesting. Whilst there were a few characters that I wasn’t so keen on, everyone did have a purpose and were involved in the plot. Sarai, who was the other main character in this book, was someone who you could sympathise with. She is hidden away from the rest of the world but desperately wants to live normally with the rest of the people. Although the Gods and the Godspawn are seen as monsters, Sarai’s PoV proved this point wrong. The writing in this book was good in that I felt that it described everything well which enabled me to imagine every scene. It constantly kept me interested and made me want to read the book even when I couldn’t. I felt that Strange the Dreamer was written at a good pace that sped up at the necessary times during the story. This was absolutely a 5 star read. I honestly enjoyed this book so much that after I finished it, I had to just take a moment to sit and think about it before I went back over the ending again. I am looking forward to reading Muse of Nightmares and diving back into this story with all the characters I loved in Strange the Dreamer.